This tag is getting a bit old in the YouTube world I think, but I just had to do it..
Tracksuit bottoms, a blue floaty top and over that a navy hoodie. With food, makeup and clothes and fictional characters, yes. With human beings, nope. As far as I know. My Dad thinks I'm about 5'5", but that's only an estimate. I'm not sure. I don't worry about my weight. My fitness is all that matters to me. One simply does not choose one song to love. I am thirteen years of age. Actresses I really like Anne Hathaway, Lily Collins, Emma Watson, Leighton Meester and Jennifer Lawrence and actors I like are Leonard di Caprio, Robert Downey Jr. I like all colours of the universe. If I'm at home, my room, but if I'm somewhere else, then a place where I can have some space. That's not an awkward question at all. From twenty minutes to an hour. It depends on the circumstances. A wonderful personality, a sense of humour and kindness. And they should be interesting. I'm not really looking for anyone right now either way. The opposite, I guess, but I'm not worried about it as I'm only 13. My Dad told me about blogging and I started it for fun. I wasn't even into fashion and beauty at the time (2011) and I blogged about the most strangest things. I can't believe where it's got me now. Apart from the obvious one; death. Last night to my parents. I texted two girls who are twins the other day and they're my best friends/neighbours. Again, one does not simply choose one food to love. Athens in Greece, Rio de Janeiro in Brazil, Dubai in United Arab Emirates, Tokyo in Japan and Lisbon in Portugal. And if it were possible, Hogwarts and Idris. See I don't actually remember when which shows that I don't care. Strawberry; I like that flavour of lollipop, and I had that today. I also love chocolate and vanilla ice cream. 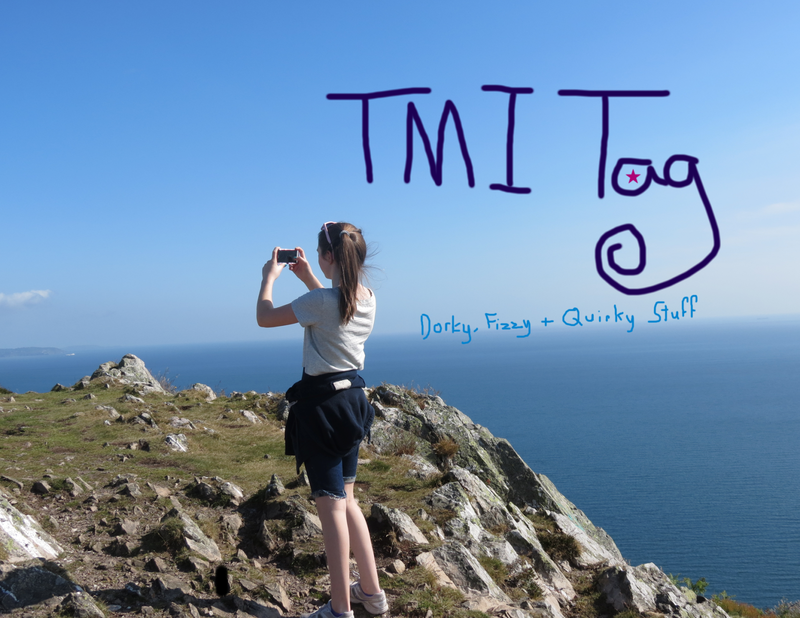 Stop making me drool, TMI tag! Just piano; I'm on Grade 4. A Molly Brown necklace that has my initial (J) on it plus a heart charm. I also cherish my Pandora and Shamballa bracelets. Field hockey; I play for my school. Tiny Dancer by Elton John in the car with my Dad. Are you Google? 'Cos you're everything I'm searching for. so I was hanging with them last. Congratulations if you read through all of that.